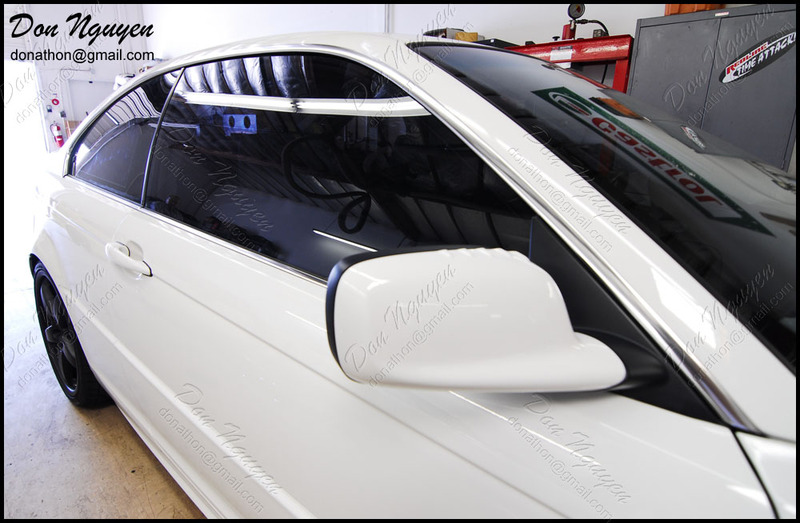 The owner of this white 330 E46 coupe had me vinyl wrap the chrome / brushed aluminum window trim on his car with my matte black vinyl material. 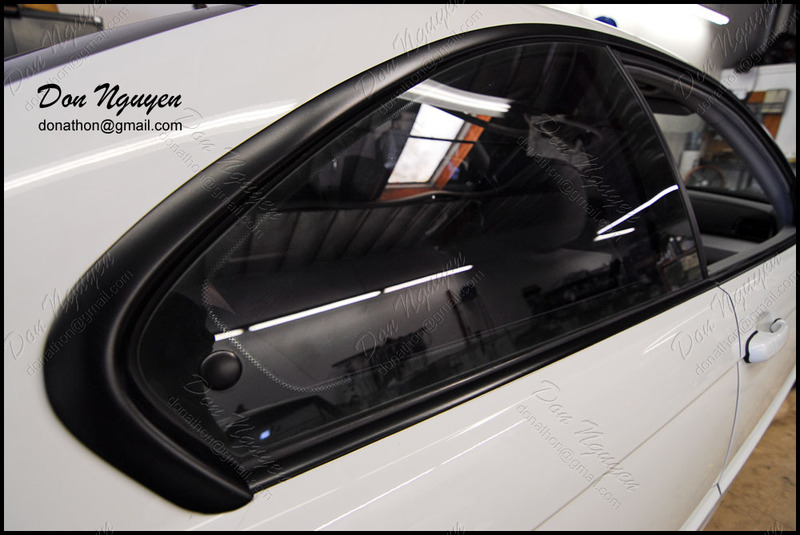 The matte black window trim finish went well with the already matte black wheels that the owner had on his car. The owner of this car drove out to me in Anaheim Hills / Orange County from Diamond Bar to have the vinyl work done on his car. 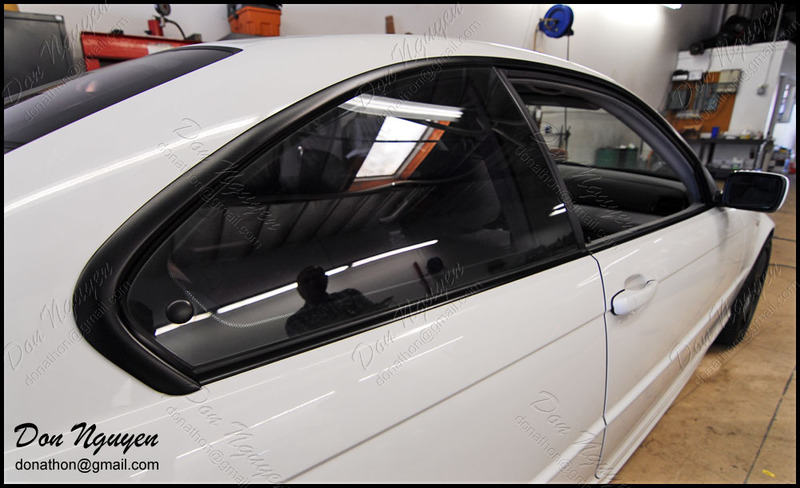 Overall, the matte black window trim really cleaned up the look of the car, especially since the windows on his car were already tinted as well.